After a decent start, season 3 of The Grand Tour has been a bit hit and miss in my opinion. The Colombia Special wasn’t the best one we’ve seen from Clarkson, Hammond and May, plus I wasn’t a massive fan of the pickup film in last week’s episode. I’ll be honest, I was a bit apprehensive for this week’s offering as I had a sinking feeling it was going to be more of the same. However, I’m delighted to say, I was wrong. This week’s show couldn’t be more car-ry if it tried as it wall-to-wall, well – tent canvas side-to-tent canvas side – pure automotive action. 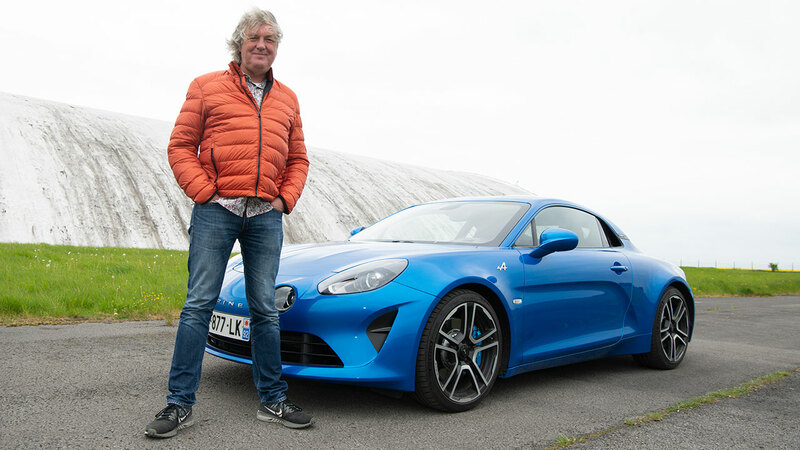 In this show we see James May drive the Alpine A110, Jeremy Clarkson drive the Lamborghini Urus, and Richard Hammond pay tribute to the great, late Jim Clark. France made a good sportscar – who knew? The episode kicks off with Jezza stating the fact that France has never made a sports car that sold well, before listing off a few examples. Captain Slow then chimes in, claiming there is one car that bucks the trend, the Alpine A110. Some may say that this seems to be a bit of a trivial review, given that it feels like quite some time that it’s been in production. Within a few minutes of the segment’s opener you soon forget this as May delivers the review in his usual informative and calm manner. As you’ve come to expect, the cinematography from the production team is top notch, making the A110 look achingly cool. Despite this, May states that’s not keen on the looks, comparing the car to a “slightly lame tribute act”. Ouch, James, ouch. He may not be keen on the styling or indeed the engine choice, but it’s quick to praise the engineering of the car and its high amount of agility, whilst explaining just how light it is compared to its rivals. He also praises A110 for not being stripped out like a trackday special and on the whole, it’s clear he’s rather smitten with it, so it’s little surprise that he went out and bought one. 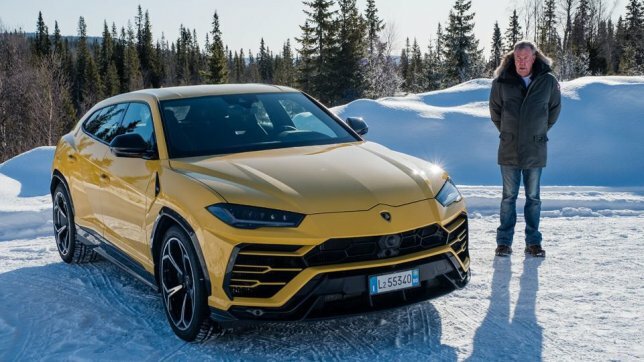 If I were to tell you a few years ago that Jeremy Clarkson had taken a Lamborghini up a ski slope, you would have thought I was as mad as a box of frogs, but don’t forget, the Italian supercar giant now makes the Urus. The fastest SUV money can buy. JC takes said car to Sweden to see whether or not it’s still a proper Lambo. First impressions seem to be mixed, as the looks cut the mustard, but the lack of exhaust noise entering the cabin, the high levels of refinement and the addition of turbochargers makes Clarkson wary. The way in which the Urus has been made also causes Clarkson to be skeptical, as he presents to camera, stating that the “Volkswagen parts bin” had been raided to make this Lamborghini SUV. He decides to hit the road to find out, whilst making a joke about the driving modes being in latin. As with May’s film – and pretty much all of GT’s production – it’s filmed beautifully in a slick manner. Having driven the car on the road and scared himself a little, Clarkson deems that the Urus still appears to be a proper Lambo, but he then questions whether it’s any good off-road. To find out, he drives up a ski slope with the car on its standard road tyres. At least Clarkson has grippy walking boots on, that’s got to count for something, right. Credit where’s credit due, though, it does get quite far…before getting stuck. Not content with that, Jezza pits the Urus against a Porsche 911 Turbo driven by Abbie Eaton, who appears in the episode for a second time after taking the A110 around the track. The shape design of the track was done so in the juvenile sort of humour you’d expect from Clarkson, which did take a little shine off the film, but it was just a fly in the ointment. What I enjoyed though, was the fact that Abbie Eaton was brought in the episode more, as I feel as if she’s been a bit of an extra in The Grand Tour so far, therefore it’s good to see her getting more airtime. As much as I’m a petrolhead, I’m ashamed to say I’m a bit of a philistine when it comes to Formula One. 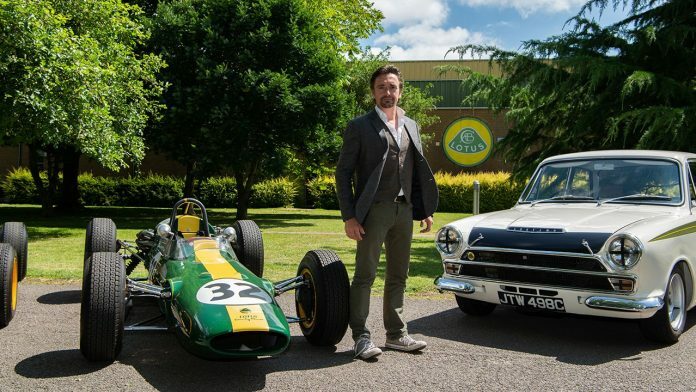 Therefore, when Richard Hammond introduced the film about Jim Clark, I had very little idea of just how special Clark was. I had heard of Clark, and I knew he had raced for Lotus, but that was about it. 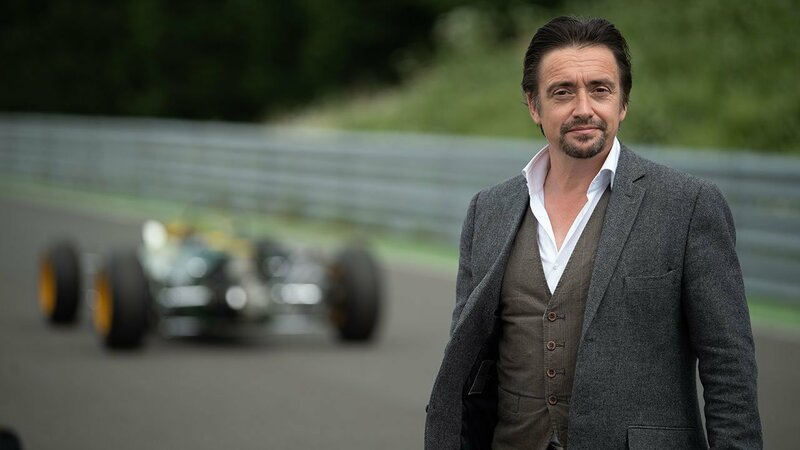 Thankfully, Hammond was able to fill me on one of the greatest racing drivers ever to walk the Earth in what was a captivating but also bittersweet piece. There was no tired gags, no scripted nonsense, but a very well delivered, engaging manner. Within the film Hammond takes us through Clark’s racing career and the Hamster even gets to have a spin in one of the very cars that the Scottish legend drove. It was amazing to hear just how successful Clark had been and Hammond delivered the piece with great aplomb. Truly wonderful stuff, in fact, I would have happily watched the piece for another half hour at least. In fact, this episode was so good, I could have carried on watching, and this is just what the current season needed, as it was starting to feel like it was just going to be a constant stream of over-scripting and tired, predictable gags. But no, this week, the GT boys showed us that they’ve still got what it takes to make a serious car show for like minded people. This episode had no gimmicks, it was just about the cars and although some may have missed the silly antics I argue the episode was all the better for excluding them.